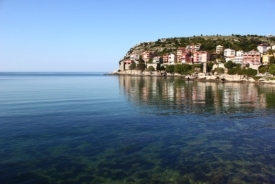 Amasra is a quaint small town that can be found on the coast of the Black Sea. It rests in the ramparts of a Byzantine citadel and its old coastal roads provide only a moderate flow of travelers during the summer. Guests spend their day relaxing on the beach and cooling off with a swim in the chilly sea, or taking time to explore the fortress and the old harbor. Buses will take passengers from Amasra to cities such as the historic town of Safranbolu. Standing as a live-in museum, Safranbolu is a gathering point for traditional artisans to practice their work and a great place for visitors to see preserved half-timbered houses placed along classic cobbled streets.